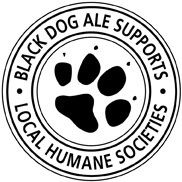 Black Dog Ale is working with humane shelters across the nation to support Adopt-A-Dog Month this October. Black Dog has set up space at its website to help prospective pet owners to find new dogs and puppies, including searchable listings of local humane society locations. The Black Dog label prominently features “Chug,” a black lab retriever, on its packaging. Chug was the brewery founder’s pet and the inspiration for the brand’s name and logo, assisting on sales calls and attending special events. The program continues until the end of October in New York, Indiana, Florida, Louisiana, Nebraska, Kansas, Michigan, Montana, Wyoming, Idaho and Washington.